Love her or hate her, Iggy Azalea was one of the biggest stories of the year. And that meant that American music&apos;s long and complicated relationship with race rose to the surface once again. It was a historic year for the rapper. She topped the Billboard Hot 100 with "Fancy," posting the longest-ever run at No. 1 for a female emcee. And she became the first artist since the Beatles to take the top two spots on the chart simultaneously, a result of her collaboration with Ariana Grande on "Problem." It was the kind of fame most musicians only ever dream of. It&apos;s the kind of fame that&apos;s inconceivable on a debut LP. It was hard not to notice that her status as a white woman singing a traditionally black genre helped her succeed so wildly. It was hard not to notice that her voice and style heavily rips from black women. Azalea&apos;s largest contribution to music in 2014 wasn&apos;t her music, then; it was helping bring cultural appropriation to the forefront of mainstream conversations unlike ever before. When Forbes declared in a May article that "Hip-Hop Is Run by a White, Blonde, Australian Woman," many hip-hop fans were immediately furious. But it was only emblematic of her privilege. As a white artist doing music that arose from the lived experience of black people in America, she is immediately more palatable to a mainstream audience. Not only that, as she began achieving mainstream notoriety, it was clear that there was an established system working in her favor. That&apos;s despite the work of many other rappers who have been at it for years, many of whom still have healthy careers. There&apos;s a historical precedent for this. Azalea&apos;s success actually does, to some extent, come at the expense of black artists. And it reinforces the realities of an entertainment climate that has long been racialized. Many white artists have historically sold more records, won more accolades and receive a much larger public reception than their black peers, particularly with music created by black artists. The tension runs as far back as the 1950s, when white artist Pat Boone covered black artist Little Richard&apos;s "Tutti Frutti" the year it was released and managed to rise higher on the Top 40 chart than Richard. At the time, it was a common occurrence — it&apos;s largely how Elvis became famous. And it&apos;s still true today, that black creativity is much more saleable to the masses when presented by a white person. That&apos;s what Azalea has proven again in 2014. On the heels of the 2014 Grammy Awards, when Macklemore virtually swept the rap categories despite the breakout success and critical acclaim of Kendrick Lamar, Azalea provided yet another year of white dominance in a traditionally black musical form. In fact, Azalea rapidly reached a level of prominence most black female emcees have never known. Given the way she crafts her image and the manner in which she performs, it has as much to do with her talent as it does her whiteness. She crafts her image to seem blacker. There&apos;s a clear difference between how Azalea speaks off-stage and the way she raps. Although she communicates with an Australian accent in interviews, she raps in a voice that imitates how many black Southerners speak and also employs African-American Vernacular English. It&apos;s been dubbed a "blaccent," and can be heard on every Azalea track. As a talented performer, she could just as easily rap without it and use her natural voice instead. But in a June interview with the Guardian, she dismissed claims of cultural appropriation, saying she thought it was "hilarious, ironic and cool" that she doesn&apos;t rap the way she speaks. Azalea still seems unaware that the way she performs is the way many black people authentically express themselves. For them, it comes with the brunt of racial discrimination and stigma. That&apos;s an experience she&apos;ll never have. Instead, rapping in such a manner has allowed Azalea to continue profiting from her appropriation of the dialect of black femcees from the South, and some in the industry have been complicit from the start. In fact, the whole music industry plays in her favor. Before "Fancy" became a breakout hit, the track got a spot in Clear Channel&apos;s "On the Verge" program for new artists, meaning the company&apos;s radio stations were required play the song at least 150 times. As the Washington Post reported, the radio network has more than 850 stations and hundreds of millions of listeners, meaning Azalea&apos;s song was virtually unavoidable even before it caught fire and dominated charts. It&apos;s the kind of premium access not usually afforded to many rap artists, let alone black female ones, who remain relatively underground and forge a much more difficult path to gaining wider notoriety or even a recording contract. In addition, mentor T.I. has been Azalea&apos;s strongest advocate, publicly defending her amid intense public backlash and harsh criticism from other R&B and hip-hop artists, including Nicki Minaj, Azealia Banks, K. Michelle, Rah Digga, J. Cole, Funkmaster Flex and others. T.I.&apos;s endorsement lends Azalea credibility, with him even predicting that she will one day run the game. Still, many of his counterparts aren&apos;t as enthusiastic. For some, her appropriation has been too much to handle. Questlove is hopeful that she will eventually "grow out of" putting on the so-called blaccent. And the frustration compounds for people like Banks, because Azalea is willing to adopt black styles but doesn&apos;t readily show support for the black community during trying times. its funny to see people Like Igloo Australia silent when these things happen... Black Culture is cool, but black issues sure aren&apos;t huh? And she doesn&apos;t seem to get it either. Azalea&apos;s responses to the criticisms of cultural appropriation have largely been tone-deaf, especially in the context of her past behavior. She&apos;s never substantively addressed the pushback, defending what she does as pure entertainment that no one should make a fuss about. But she has a history of perpetuating homophobic and racist stereotypes, even calling herself a "runaway slave master" in a rap and using Twitter to crack offensive jokes. On the whole, she doesn&apos;t appear wiling to take any accountability for how she uses her platform and her artistry, especially given racial power dynamics. 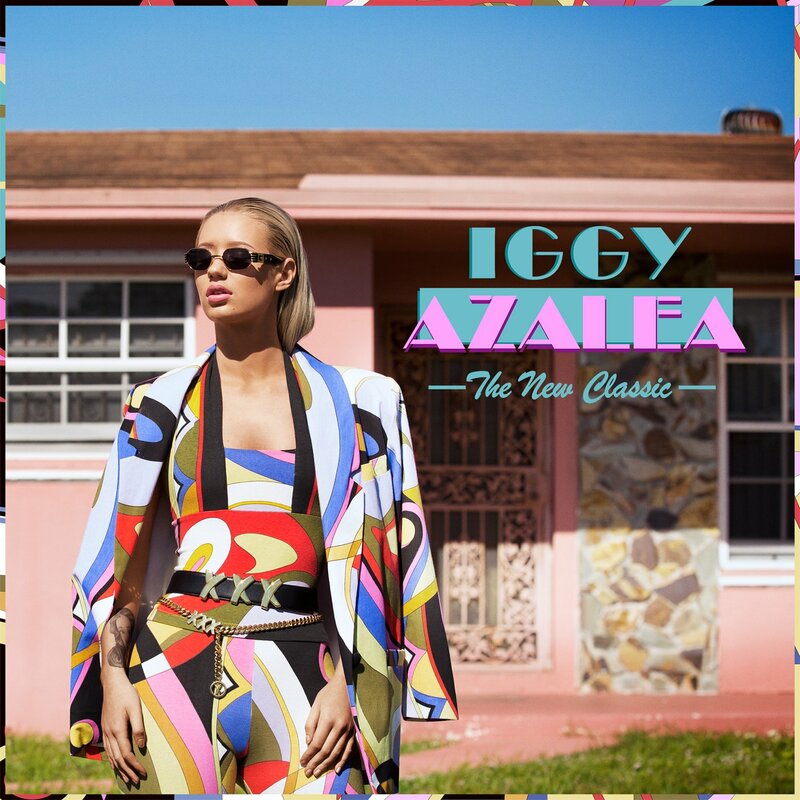 Time will tell whether Iggy Azalea has any staying power in the industry or if she&apos;ll go the way of Vanilla Ice. But her omnipresence in 2014 — and her appropriation — generated discussions on the racial politics of the music industry that won&apos;t end anytime soon. And clearly those are conversations we need to keep having.